As any South Australian pedant (is that a tautology?) will know, Mount Lofty isn’t South Australia’s highest mountain. That honour, as said pedant/s would confirm, goes to the 1435 metre high Mount Woodroffe in South Australia’s far north up near the Northern Territory border. But Mount Woodroffe is a long way (and not visible) from state capital Adelaide, so Mount Lofty, clearly the highest point of the Mount Lofty Ranges locally known as ‘the Adelaide Hills’, generally does the honours. And in the context of its striking contrast rising above the mostly flat plains on which Adelaide is built, the 710 metre high peak certainly looks impressive. Even more impressive is what’s atop this minuscule ‘mountain’ range in the driest state of the driest continent on earth – so NOT where you’d expect to find a flourishing garden full of the cold climate plants that tend to thrive at this ‘elevated’ altitude! But Adelaide is full of surprises and an autumn rich with vegetation in colours you’d normally find in the Northern Hemisphere coupled with the BEST autumn climate in the country is one (or is that two?) of them. So head to the Hills – and the crowning glory nestled on the slopes just below Mount Lofty’s lofty summit. 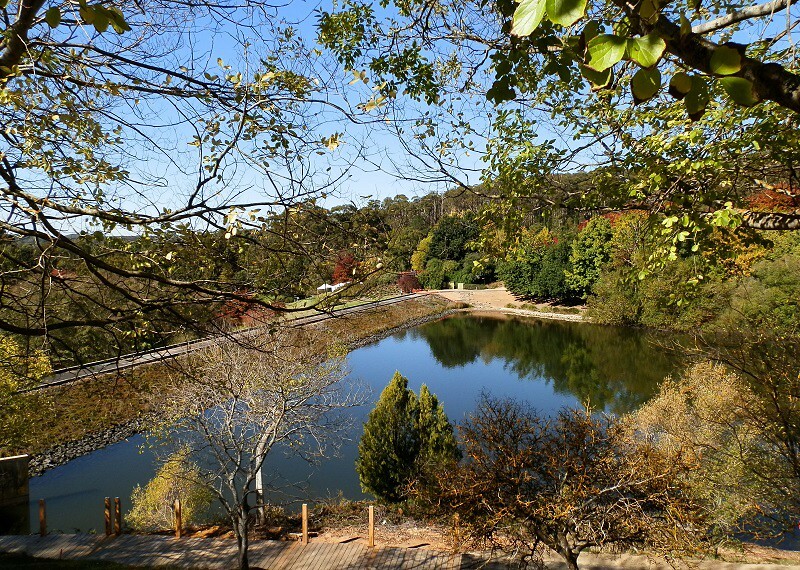 Yes, the Mount Lofty Botanic Garden (call it like it is, Adelaide! ), only a 20 minute drive from the city centre, for an Adelaide autumn experience complete with colours you’re unlikely to see in the natural Aussie bushland. Of course its position on Mount Lofty’s eastern slope means most of the several kilometres of walking trails criss-crossing this 97 hectare hotspot are pretty steep. 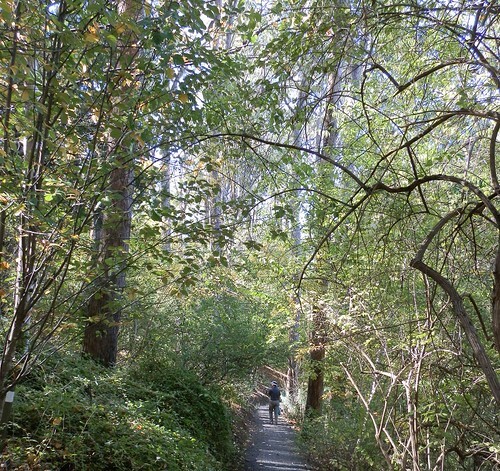 But steep climbs mean spectacular views and getting to them is half the fun through habitats with names like Fern Gully, the Heritage Rose Garden, Arboretum and Woodland Garden. 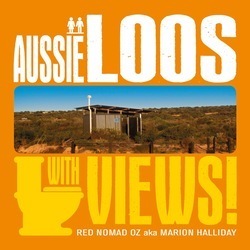 There’s even a Scenic Loo or two for pleasure AND business! 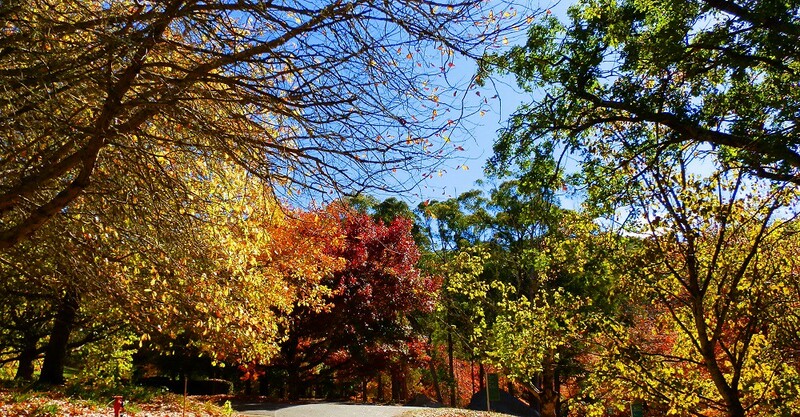 When I hit Mt Lofty’s heights for my first ever autumn adventure I found an oasis of lush vegetation, beautiful flowers and colour that proves you CAN see autumn colours downunder! And around every corner is a new trail (including a section of SA icon, the Heysen Trail), a burst of colourful flowers, a tree in full autumn garb or a scenic vista to take your breath away. It’s completely different in spring with its colourful displays of native wildflowers and rhododendrons in the gullies and lining the paths. And different again in summer for an outdoor performance by the Adelaide Symphony Orchestra on the grassy slopes below the main dam,where the temperature was a good 10 degrees C below the heat of the plains. And winter? Your guess is as good as mine! But I’d never seen the spectacular autumn colours of the trees around the main lake reflected in its still waters. Or the colours in the view from the vantage point above the lake to the rolling grass lawns and arboretum, and to the private properties beyond the garden boundary. Further up along the trails, the rich colours of the blanket of oak leaves underfoot contrasted with the brightness of trees in full autumn glory against the blue sky of a perfect Adelaide Autumn day! And whichever way I looked was view to die for at the Woodland Garden loo – the scenic hills landscape rivalled only by the riot of red in its garden setting! Back down the path the flowering hydrangeas my black thumbs would surely kill in my own garden lit up the late afternoon shadows – for on an eastern-facing hillside this steep, the sun sets early! 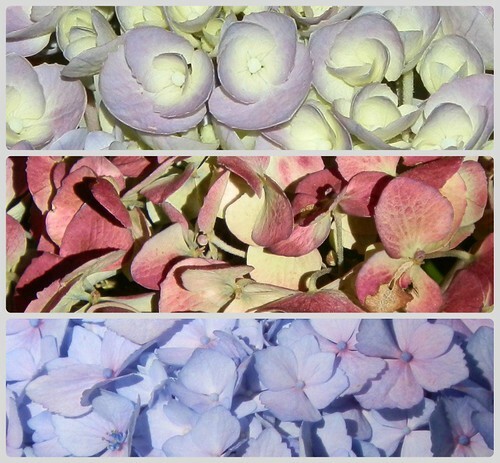 A Mt Lofty Botanic Garden Hydrangea Collection! Below on the main lake, grebes cavorted amidst rippling shadows. Children rolled down the grassy slopes below the lake oblivious to the signs warning of the dangers of such risky behaviour. The lowering sun sparkled in that peculiarly Adelaide Autumn way picking out the highlights of the colours and throwing them against a darkening background. 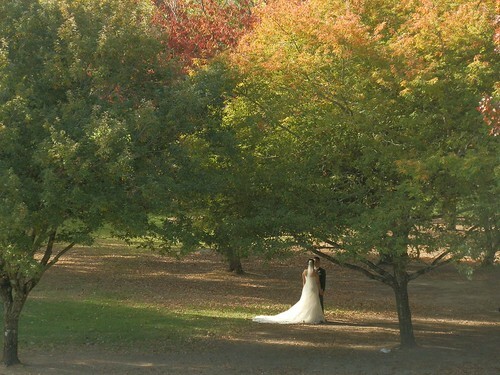 And a newly wed couple – either that or they’d dressed especially for a wedding photo re-enactment – shared a quiet moment under the trees. Give me a Northern Aussie winter to escape the southern cold. A Sub-Tropical Spring for the flowers. A Tasmanian summer to beat the mainland heat. But in Autumn, Adelaide’s the ONLY one place to be! And in Adelaide, Autumn’s best at the Mount Lofty Botanic Gardens!! WHAT to do: Enjoy several km of walking trails (wear sturdy walking shoes); Gardens (various habitats), Dams, Sculptures, Flowers and Wildlife. Each season’s different! *Photos for this post were taken on 20 April, 2013. More Mount Lofty Botanic Gardens Photos on Flickr! 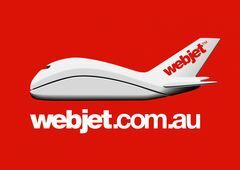 Don’t miss any more RedzAustralia posts! Register for RedzAustralia email updates HERE! AND … if you like it, SHARE IT! Buttons below! Good morning from … Kununurra, Western Australia!! So beautiful. And I love those Oak leaf pics. That’s exactly the sort of thing I take pictures of. Thank you Chris! Perhaps I picked up the random object photography thing from you after our interview all those years ago 😀 Actually, I think it was driven more by the limitations of my camera – if I couldn’t get the all-encompassing killer landscape shot, I may as well go for the macro!!! Wow a little bit of the northern hemisphere Fall right in our own backyard. 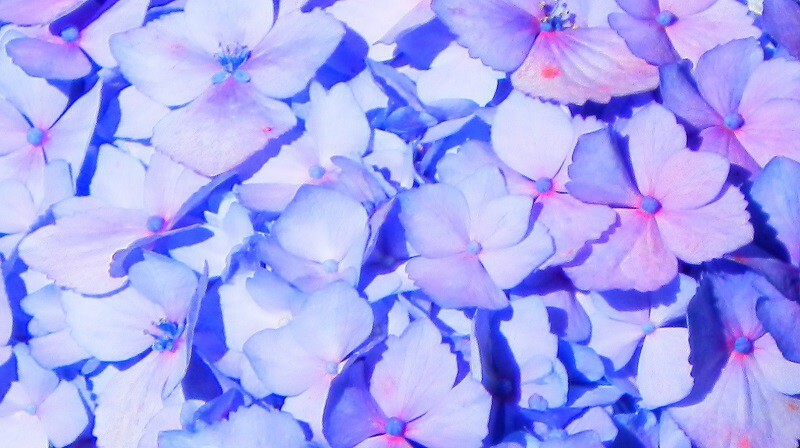 Beautiful colours and photos. I remember being impressed with autumn colours in Bright, Victoria. I’ve also been impressed by the autumn colours in Bright, Diane!! Bright is a little like Adelaide with the main settlement on the plain and mountains all around – but the Victorian Alps are MUCH higher than the Adelaide Hills!! This post made me smile, of course. 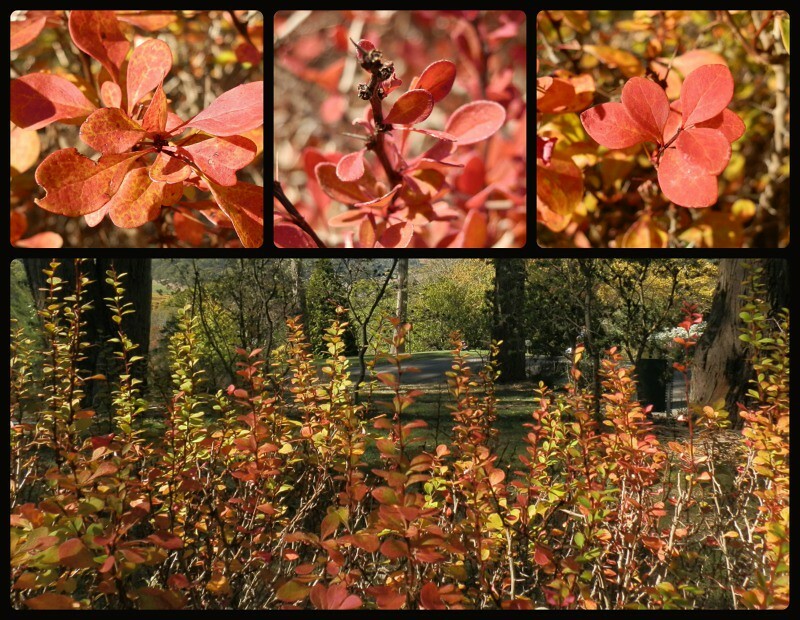 I always do appreciate our autumn-colors, but it´s really nothing special, I just grew up with it. Refreshing to see how you go for it, Red! Especially whilst here spring finally kicks in, getting colorful in such a different, more promising way! 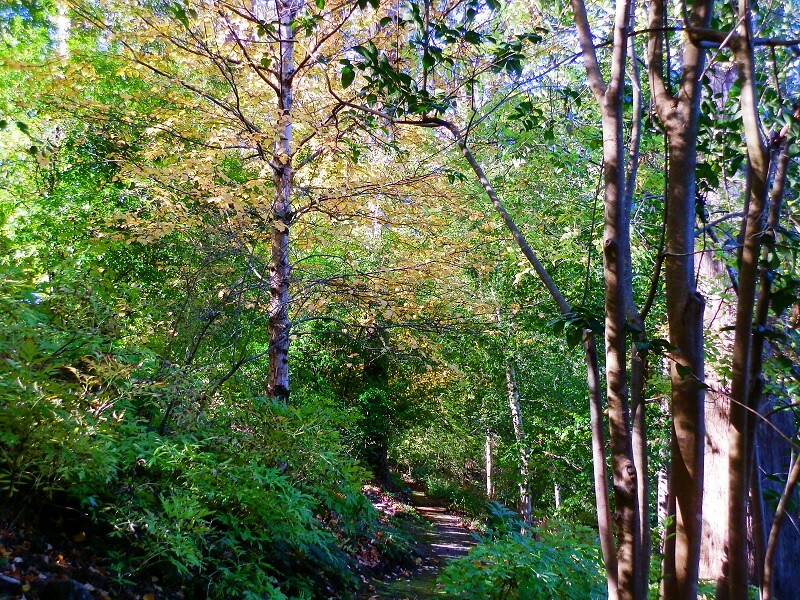 I love autumn in the hills, Mt Lofty and Stirling in particular. I planned on going up there myself soon to get my own autumn colour photos. I’ll still go, but now I want to go in spring as well. What a treasure the Adelaide Hills are and so well captured by your lens. I thought Autumn had arrived a bit early until I saw the photos were from a couple of years ago, but then it is only ten days difference. The Main Lake reminds me of our own Emerald Lake in the Dandenong Ranges. The Dandenongs are quite similar to your Hills, but unfortunately rather more than a twenty minute drive from the city. As here, I expect in Adelaide’s early days, relief from the heat by the well to do was found by having a property in the Hills. Thank you Andrew! 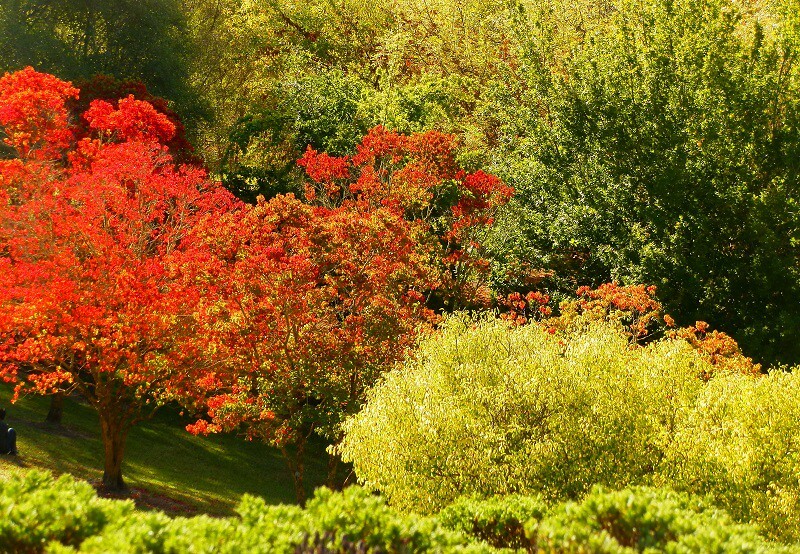 The autumn colours have started here, but I’m not sure how much of the Mt Lofty Botanic Garden is ablaze yet – I hoped to inspire a visit with these pix! I’d love to re-visit the Dandenongs – you don’t really appreciate places like that as a child 😀 And the beauty of Adelaide (apart from its near-perfect autumn temperatures) is its proximity to pretty much everything!! There’s some awesome properties in the hills, but the hazard is always fire with this year’s fire wiping out a lot of homes, and Black Wednesday (1983) destroying a lot more. I visited part of the fire zone near my home for the first time since it finished and the devastation, especially of places we used to go walking, is awful – but it’s 3 months down the track and already some plants are returning. Could be a good orchid season!! Hope your weekend is going well, my friend! As a native of Adelaide, I too, can attest that area is indeed a lovely part of SA, and so close to the city. Yet, despite its proximity, it never feels overcrowded. I used to take my children up there when they were little so they could run about and wear themselves out!! Probably time I headed back up there again and enjoyed the autumnal colours (though without the kids this time, so it will probably be a more peaceful visit). I’ve never experienced crowds there either, Annie – maybe that just means Adelaide is more civilised?!?!?!?! It’s easy to wear yourself out (let alone the kids) on the walks, some of them are REALLY steep! But the scenery makes it all worthwhile – maybe I’ll run into you there one day!!! Back to basics. It’s autumn in the Southern Hemisphere now! Everything is so beautiful. I especially love oak leaves that I’d never seen. 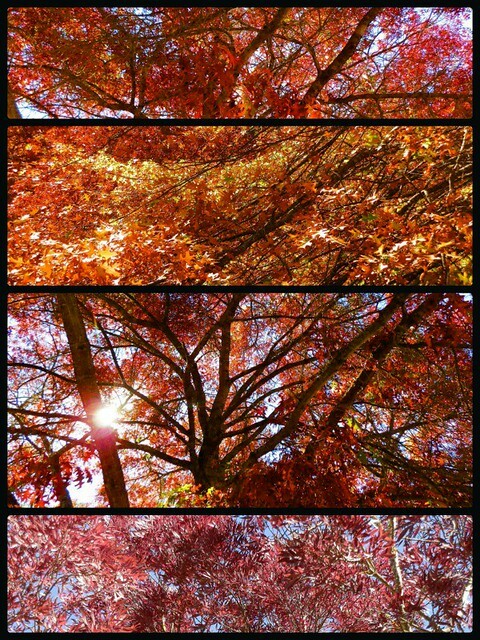 Thank you very much for your photos, I love autumn! 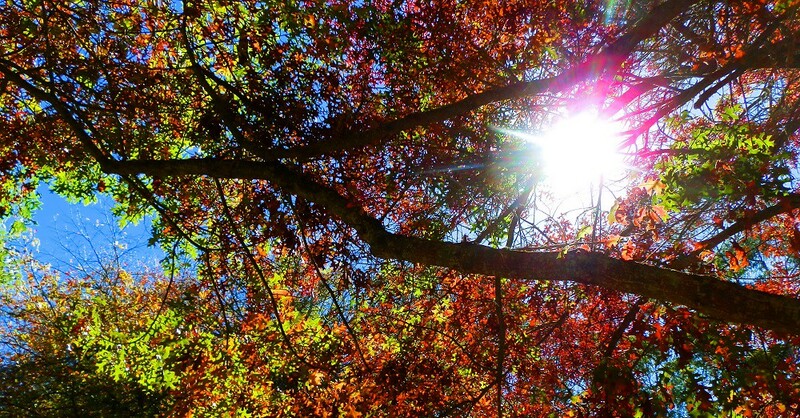 I love autumn too, Kozue – especially down here in Adelaide, which has Australia’s best autumn climate!! According to me, anyway!! There are quite a few places around the country where you can see colours like these, but not in the Australian bushland! It’s a lovely spot, Jo-Anne! It even snows on Mt Lofty – but not very often. When it does, it makes the news and everyone goes up there to build a snowman! Hope you’re having a wonderful weekend! Oh wow, just wow! Those colours. Thank you so much for sharing! Thank you Liz! It’s always a pleasure to read your comments – especially when they’re like THIS!!! Have you been to Adelaide in autumn? I’m sure there are colours like this in Canberra too!! Beautiful Autumn colors! The trees and scenery are lovely! Great post and photos.. Have a happy weekend! We DO get autumn colours down here, Eileen – but not so much from native trees. Our colonial heritage means a lot of homesick people planted trees and flowers to remind them of home! Hope your weekend is awesome too!